If you would like to do some meditating or relaxing, a forest clearing is a good place to go. 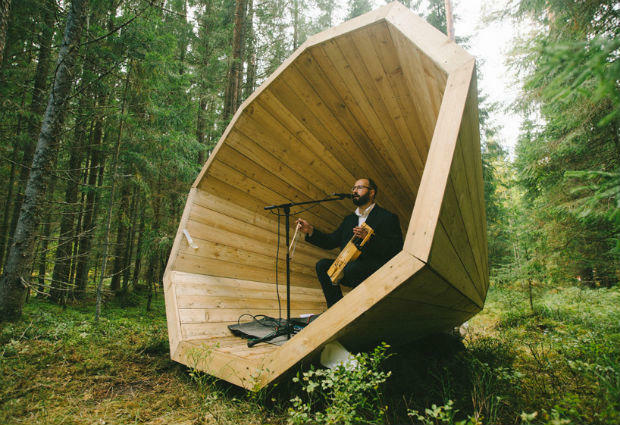 A group of students in Estonia took that idea and, well, amplified it. 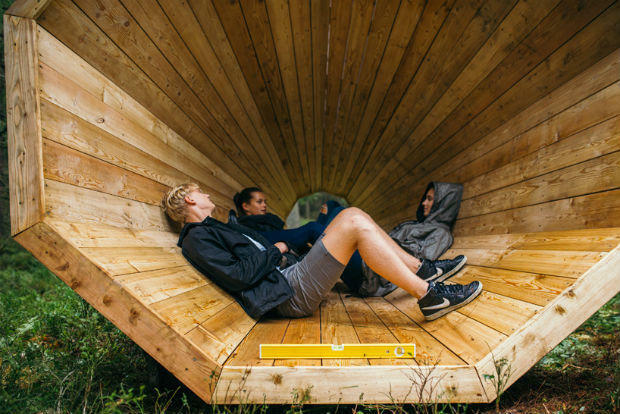 Some interior architecture students at the Estonian Academy of Arts installed three giant wooden megaphones in a forest in Estonia’s Võru County. 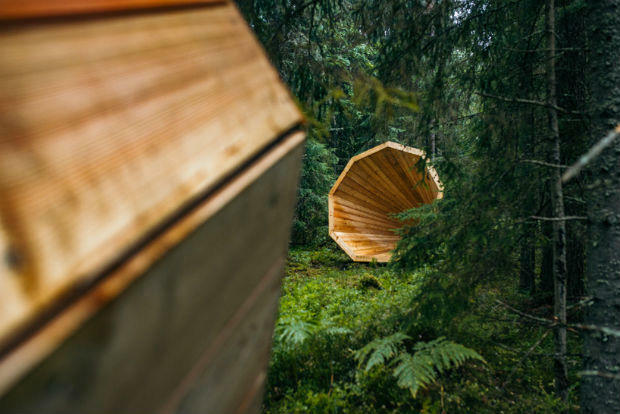 This “forest library” is located near RMK’s pähni nature centre, where the quiet sounds of chirping birds and rustling leaves are amplified for surrounding site visitors. It sounds remarkably relaxing. 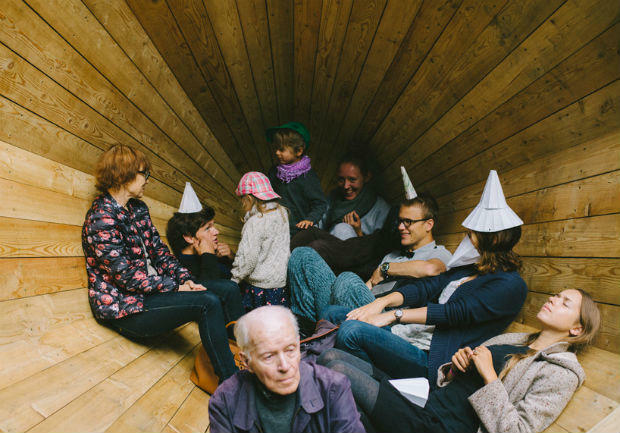 The wooden megaphones, which are called “ruup,” span three meters in diameter. 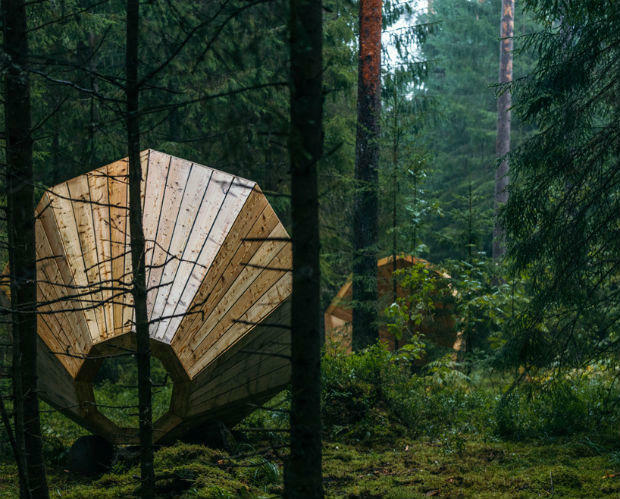 They’re large enough for visitors to crawl inside and enjoy the sounds of nature. 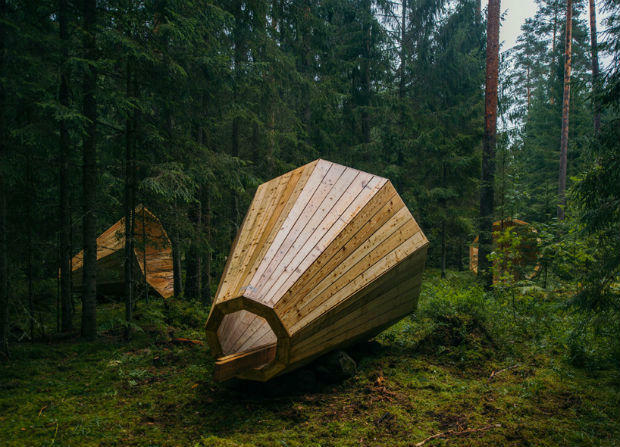 The conical shape provides shelter for hikers to spend the night, and a platform for outdoor classes, cultural events, and even concerts. Spoken like an architect who is a poet at heart. 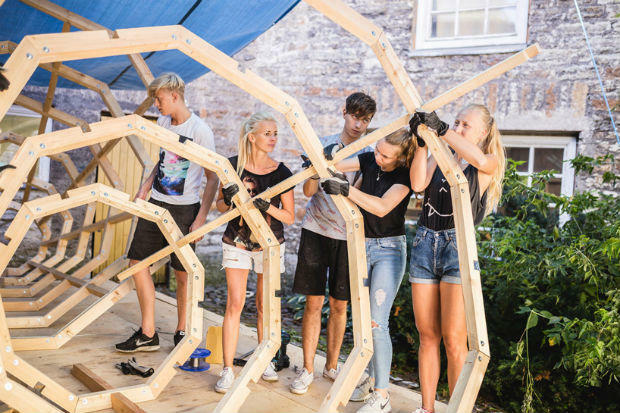 The students were instructed by Aet Ader, Karin Tõugu, Kadri Klement, and Mari Hunt, architects from the firm b210. The construction of the megaphones was financed by RMK and the interior architecture department of the EAA. 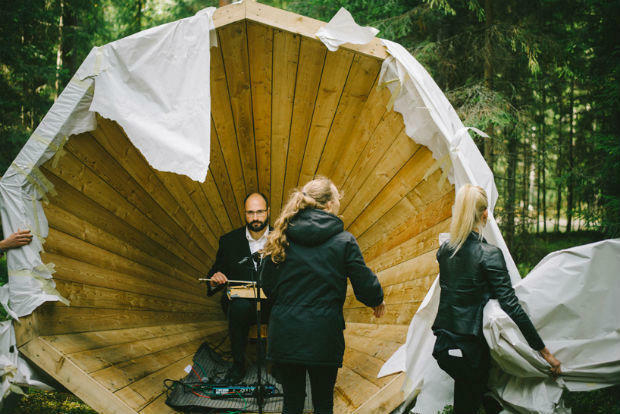 The opening events also received help from the Estonian cultural endowment. 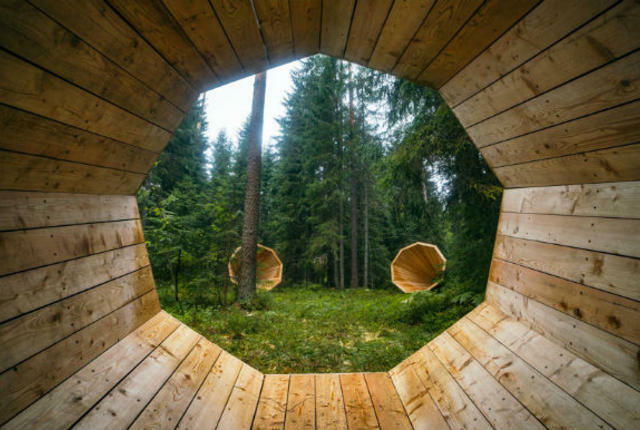 Next time you want to be one with nature, you should probably head over to Estonia. Previous postSo you think you got good balance?